When I lived on the east coast and worked on a farm, pizza was one of my go-to homemade meals. I got dough for a dollar from the local pizza place (we sold vegetables to them so they gave us a deal), and would take home whatever seconds we had at work, roast them up, and add them on top with lots of cheese. Since I stopped eating cheese (mostly) and moved west without easy access to pizza dough, I haven’t made pizza in a while. 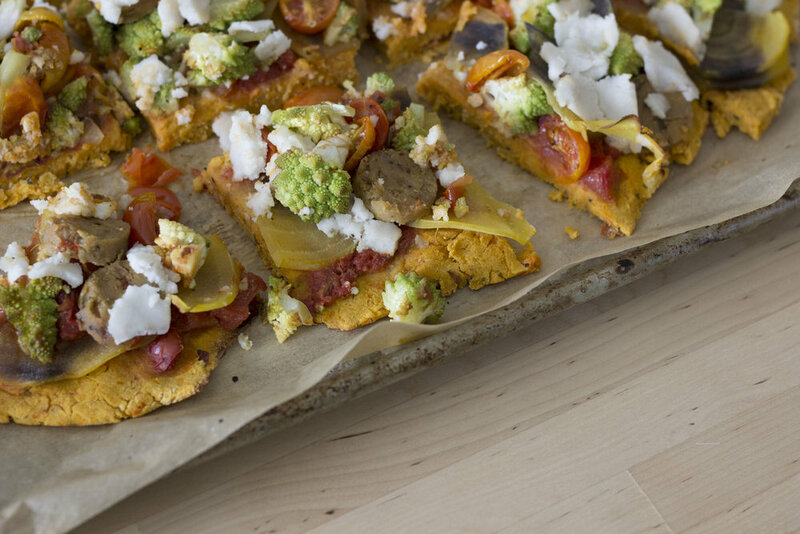 But in the span of one week I had a conversation with my runfam about pizza and then saw Rachel Ama posted a recipe for a sweet potato pizza crust, and I was once again inspired. I modified her recipe by omitting chili flakes (since I’m a wimp) and substituting brown rice flour where she calls for oat flour, because that’s what I had. I’m sure you could make this with regular flour too, but I decided to keep it GF for funsies. 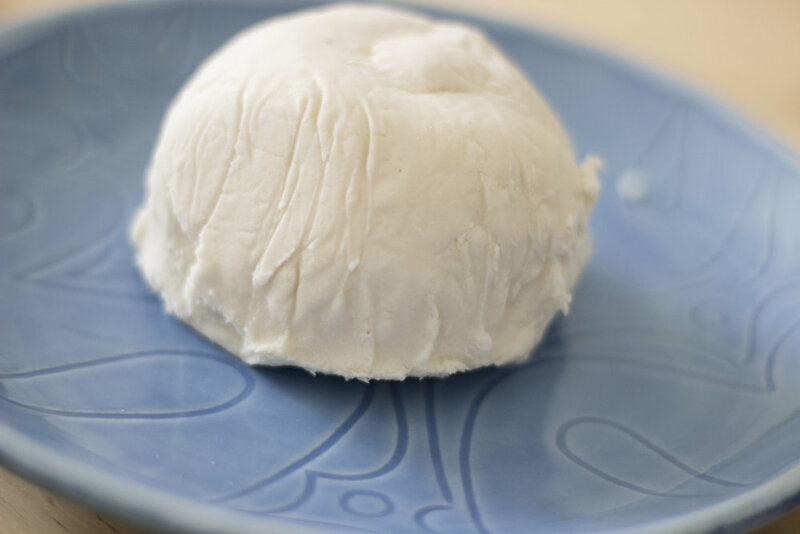 I decided to splurge on Miyoko’s vegan mozzarella cheese, which I’d never tried because it is pretty pricey but had eyed from afar at the grocery store. I also added Field Roast sausage, because I’m being more intentional about protein as I come back from injury, but you can just as easily skip it, or use whatever kind of protein you like. It doesn’t have to be a meat substitute- why not put beans on a pizza? Or marinate some tofu or tempeh and use that? That’s the beauty of pizza: you can put almost anything in the world on it. So these are the toppings I used, but you can use any combination of veggies, “cheese” or cheese, protein, whatever you like. Bonus, this recipe requires zero special equipment! 2. Prep all the veggies. Pop the sweet potato into a steamer and steam until tender, about 10-15 minutes. (Just test with a fork). Add in the beet slices to the steamer for ~5 minutes to soften them. 3. While the sweet potatoes and beets are steaming, toss the cauliflower and tomatoes with a little bit of oil and a generous pinch of salt and pepper. If you’re oil-free, you can skip the oil, but like also don’t do that. You don’t need much. Live your life. 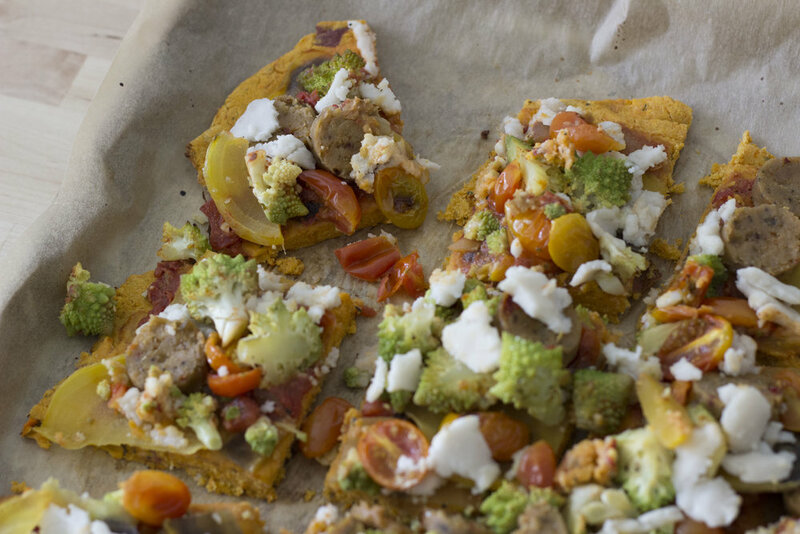 Spread the cauliflower and tomatoes on a lined baking sheet and place in the oven to roast for ~30 minutes. 4. Remove the beets and set them aside. Add the sweet potatoes to a bowl and mash with a potato masher or fork until smooth. 5. 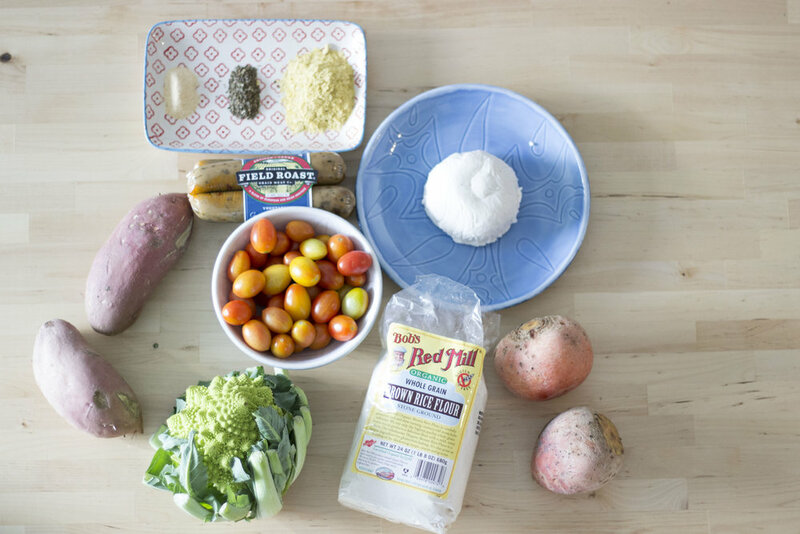 Combine all the dry ingredients in a bowl and add the sweet potato mash. Mix really well with a wooden spoon or sturdy spatula. It will seem like you added too much flour, but keep at it- when it’s all incorporated it will be a consistent dough. 6. Add the pizza dough to a lined baking sheet and spread it out with your hands, flattening with a spatula. If it’s too sticky, wet your hands and spatula a little, but I didn’t find stickiness to be a problem. Also, I shaped this in a rough rectangle because I don’t have circular-pizza-making skills, so I can’t offer advice on that. But rectangular pizza is just as good! 7. Bake the crust in the pre-heated oven for 15-18 minutes. 8. Now your veggies should be roasted and your crust pre-baked, so it’s time to assemble! 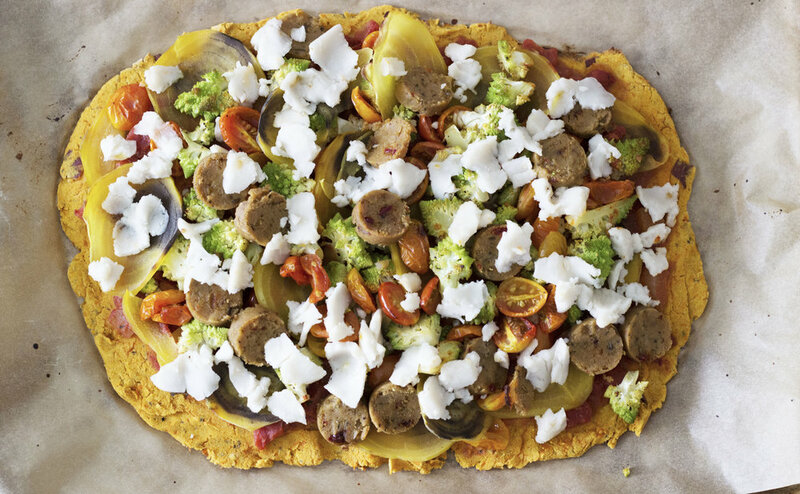 Spread some big ol’ spoonfuls of tomato sauce over the crust, add the sausage slices and beets, layer the cauliflower and tomatoes over that, and top it all with chunks of cheese. Bake in the oven for another 10 minutes, and you’re done! This pizza was so good. I really love the crust- the sweet potato flavor comes through, which is the best, and it holds together really well. If you make this and take a photo, tag me on Instagram @thethirdsunday! I’d love to see it!